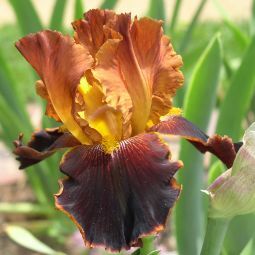 Welcome to the Greater St. Louis Iris Society website! 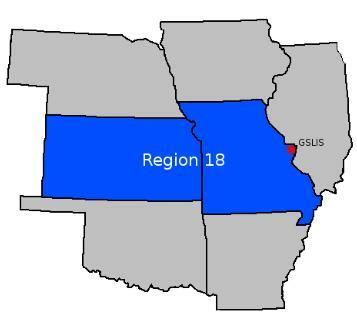 The Greater St. Louis Iris Society (GSLIS) is located in the American Iris Society's Region 18, the states of Kansas and Missouri. Iris. What a simple word. A simple, two syllable word that projects many things to many people. To some, Iris is the round color pigmented membrane surrounding the pupil of the eye. 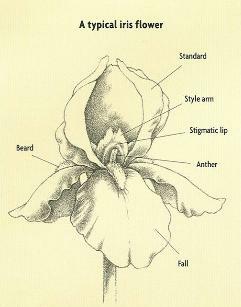 To others, especially gardeners, botanists and horticulturists, it is the large genus (Iris) of perennial plants of the iris family, with sword-shaped leaves and flamboyant flowers composed in threes, three upright petals called standards and three downward-extending sepals called falls, of widely varying color. 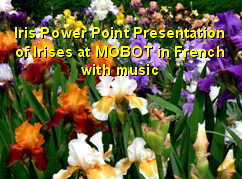 The iris is the flower of the fleur de Lis, fleur de Louis, fluer-de-Lys or fleur de luce. 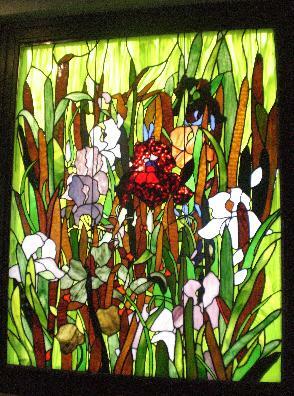 Botanists confirm that irises grew everywhere that these terms originated and lilies largely did not - especially in the Holy Land of King Solomon and biblical times. And we know that the earliest cultivated irises were grown about 7000 BC by the Egyptians. 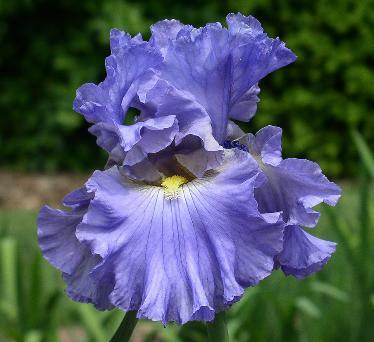 Iris was also a Greek Goddess, a messenger of the gods and associated with the Rainbow. All the colors of the rainbow are represented in irises today except for true red. That is surely coming just as the iris has improved exponentially since the formation of the American Iris Society in 1920 (when some "old country" growers had said that irises [they used the colloquial "flags"] just couldn't be improved any more). Well, boy, have our imaginative hybridizers ever proved them wrong! 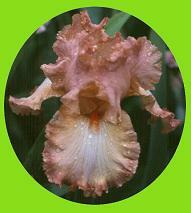 We developed this web site to educate folks on the tremendous variety and color combinations of today's irises. We want you to have fun looking at the pretty pictures and if you learn something along the way - great. Many of the pictures can be identified by placing your cursor on the image. You might want to visit some of the local gardens such as the Missouri Botanical Garden's fabulous iris garden. Or maybe one or more of the private and public iris gardens listed in the links. 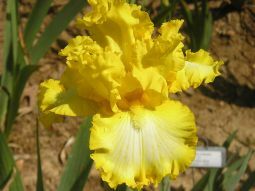 You might want to see one of our annual Iris Shows. If you want to join us as a member that information is here too. 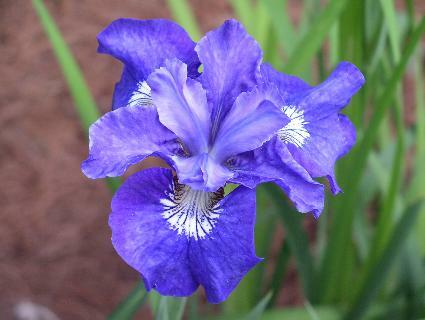 And if you can't find the answer to that one question about irises that has been nagging you, visit our Ask The Expert link. They might be able to point you in the right direction to identify Grandmother's old flags. 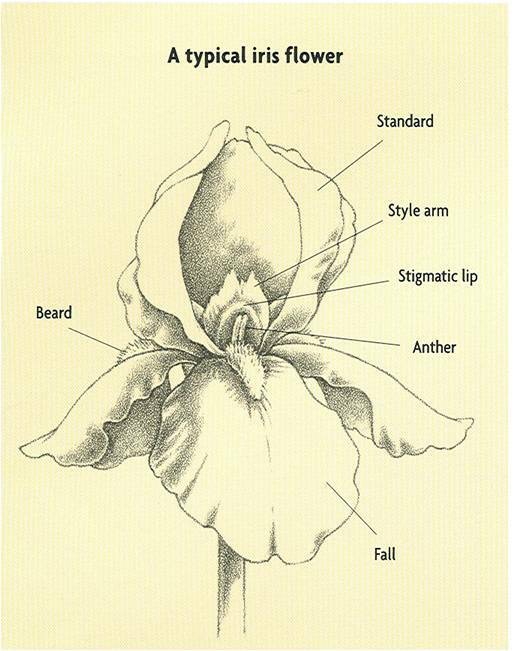 Detailed information about iris types and iris culture are available for those who want to explore. Likewise iris history going back to the 1920s in the St. Louis area is here too. Iris awards? We have it covered. There is much more. So sit back and enjoy the ride in our wonderful Iris World.